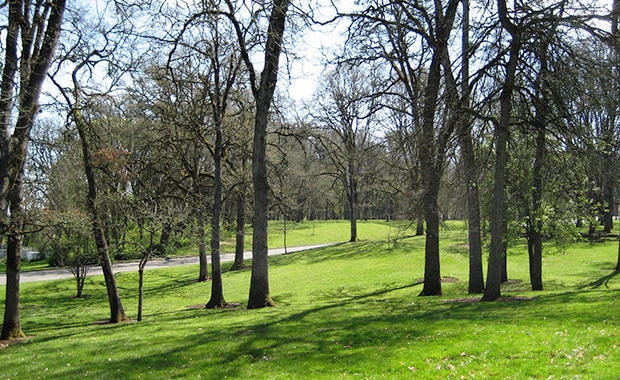 Bush’s Pasture Park, located in Salem, Oregon, and covering more than 90 acres of forest and open meadows, is a favorite gathering place. In 2011, NNA Landscape Architecture worked with the City of Salem to redesign the park’s southern entry and parking area to showcase sustainable design. 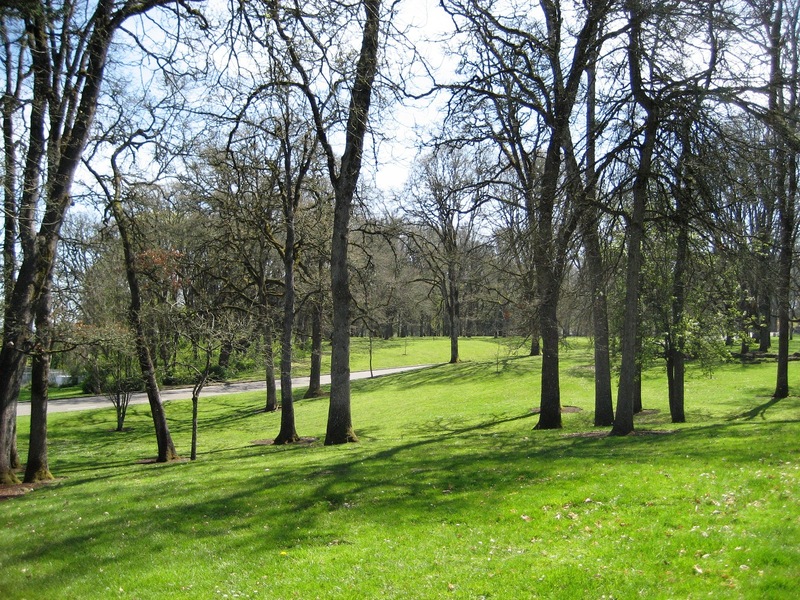 We delivered landscape architecture services to create a site design for the southeast corner of the park, which includes a parking lot nestled in a native oak grove. The design integrates several bioswales, a neighborhood green street and two infiltration rain gardens. We carefully designed the entry to preserve all mature oak trees and provide surface stormwater treatment while allowing native plantings and pedestrian connections to separate the parking lot from nearby residences. In addition to providing planning and construction documents, NNA created a design packet for the city and neighbors, which they used to raise construction funds.